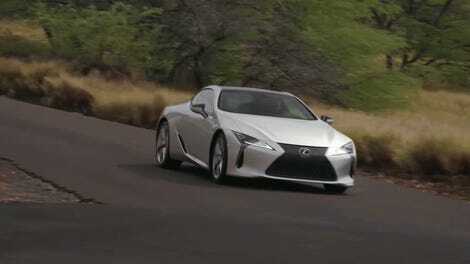 The Lexus LC 500: A sleek and beautiful V8 spaceship, nearly perfect in every way, except for the fact that it lacks convertible and high-performance versions. But that just might be in the cards for it, according to this latest rumor. 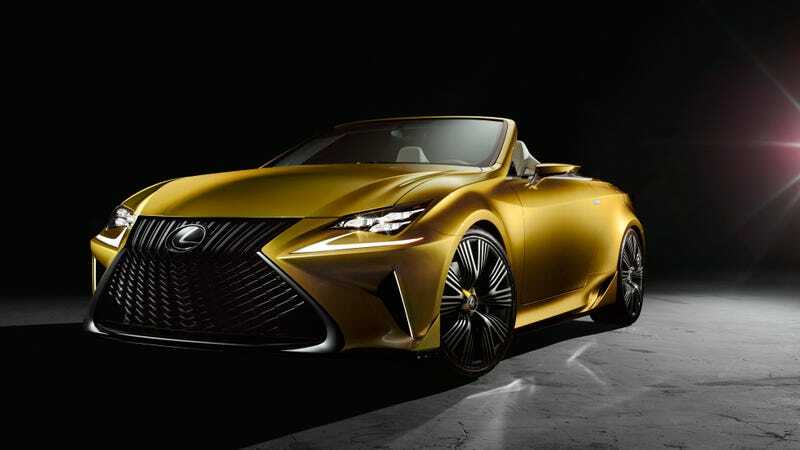 Auto Express understands the drop-top has been given the green light internally, while a performance version of the striking flagship coupé is also likely to be signed off. An inside source at the company said the LC was a “done deal” and likely to see the light of day within 18 months to two years. I guess in order to compete with the Germans, like the Audi R8 Spyder and the Mercedes-AMG GT C Roadster, Lexus will need the LC convertible. Back in 2014, we saw the LF-C2 Concept, but that ultimately didn’t happen because, apparently, Lexus dealers all yelled for a three-row crossover instead of a cool convertible. Sad stuff. But this bit about the LC F is most interesting to me, because in our review, we found that the LC 500, though excellent, lacked the power that would really make it competitive with everything else in its class. There has been speculation regarding a 4.0-liter, twin-turbo V8 that would put out about 600 horsepower... so yeah, that would be a very good and proper engine for a F-tuned Lexus flagship coupe! Look, if that happens, I’ll miss the 5.0-liter naturally aspirated V8 just like everyone else. But a more powerful trade-up is worth it. We’ve reached out to Lexus for comment and will update if we hear back.